This is the first book I’ve read by S. Walden and to say I was impressed would be an understatement. 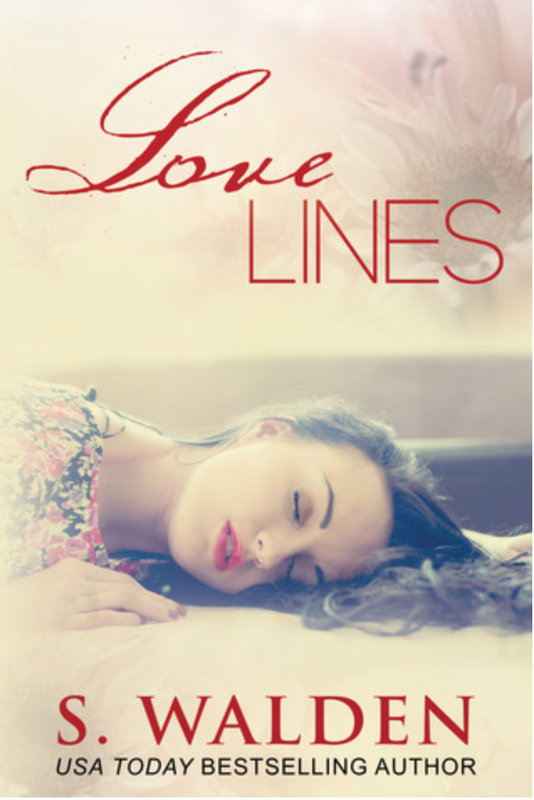 LoveLines is a contemporary romance novel that you won’t want to miss reading this year. My heart broke for Bailey as I watched her struggle with OCD. S. Walden did a FANTASIC job really allowing me to understand what living with OCD must feel like. S. Walden wrote it so well that I have to wonder if she has OCD, hmmmm? Reece was the perfect match for Bailey. I never once doubted his love for her. My heart broke for Reece on more then one occasion and I won’t lie at times I did wonder if this is the type of life someone should be tied to. Living and being with someone with OCD is very intense. All relationships struggle could you imagine the extra pressure of having a partner with OCD? The words of this story flow together so perfectly. The time just flies by from page to page and you really get to see Bailey and Reece’s relationship develop over a long period of time. It’s been a long time since I’ve read a book where each chapter just flowed so perfectly together. Where I was with a couple for 3 months, 6, months, 9 months, etc. and as a reader I didn’t feel disjointed from the couple as the relationship moved forward in a book. This was something that S. Walden did a great job with in her writing. We get to see Bailey and Reece’s relationship develop over a long period of time and it all just fit together so perfectly. I will be reading more of S. Walden and I have no doubt that all of her other books will be just as amazing as this one.